I recently got some more frankening supplies from the Aussie supplier Beauty World. Previously I have got some of the Rona Volcanic Sparks powders which I made into a top coat. They also have two other Rona pigments. Caribbean Blue and Volcanic Fire. 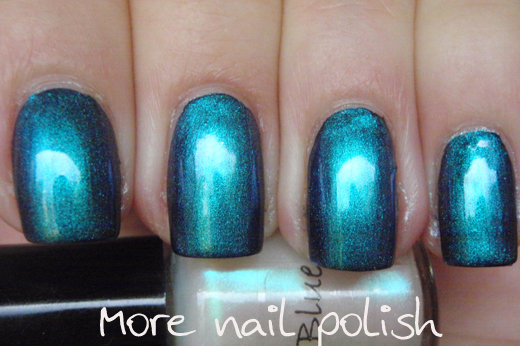 Firstly here is Caribbean Blue, which again I made as a top coat. This is two coats layered over black. Aqua blue shifting through to purple. 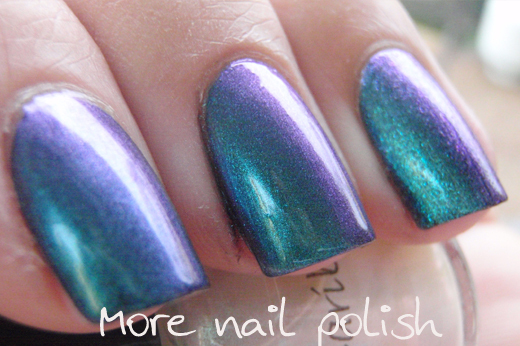 I really couldn't believe how much this one is almost a dead on dupe for the Models Own Aqua Violet. Of course I did a quick comparison swatch. 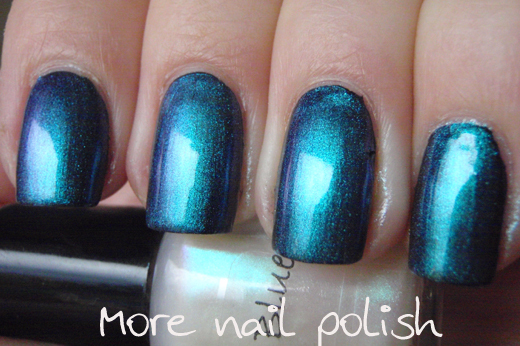 From left to right: Index Caribbean Blue, Middle Models Own Aqua Violet, Ring Luna Blue top coat. 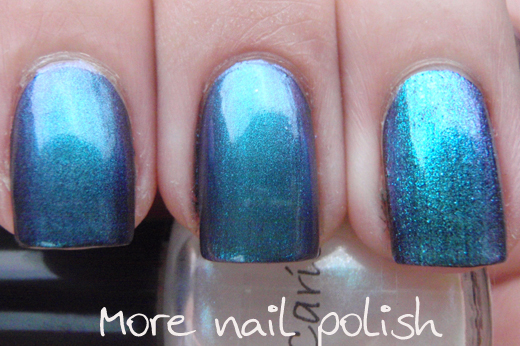 Same order, from left to right: Index Caribbean Blue, Middle Models Own Aqua Violet, Ring Luna Blue top coat. 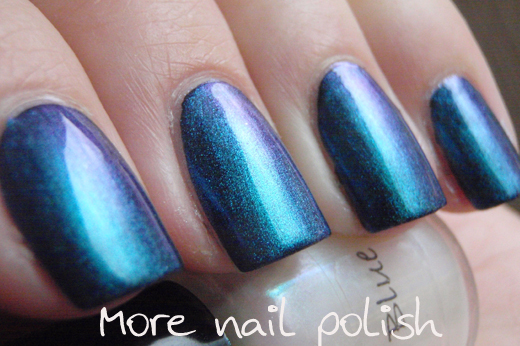 Caribbean Blue and Models Own Aqua Violet are basically identical. 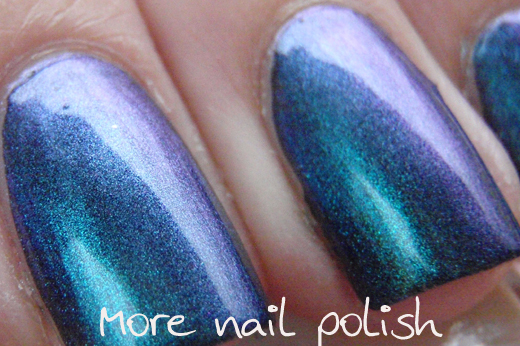 They are all in the same colour range, but Luna Blue pigment from TKB just has slightly larger particles. I've got a few grams of this pigment, so I think I will do some mixing with tints to make an actual polish, not just a top coat. That looks great! I love all the duo/multi/holo goodness you post, you're amazing! OMG!!! Cathy you are perfect!!! I love very much your posts!! !